I couldn't let the week end without giving credit to the most viewed links of this week Tuesdays at our Home. As always, we had a great party. It is amazing how creative you all are. Wonderful inspiration all around! we will all be glad to see the little flowers pop up in our gardens. 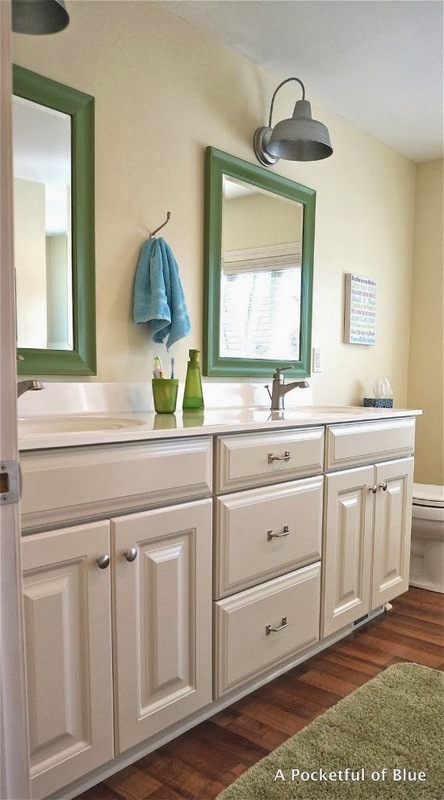 JoAnne from A PocketFul of Blue gave her kids bathroom a whole new look. Everything looks so pretty and clean. 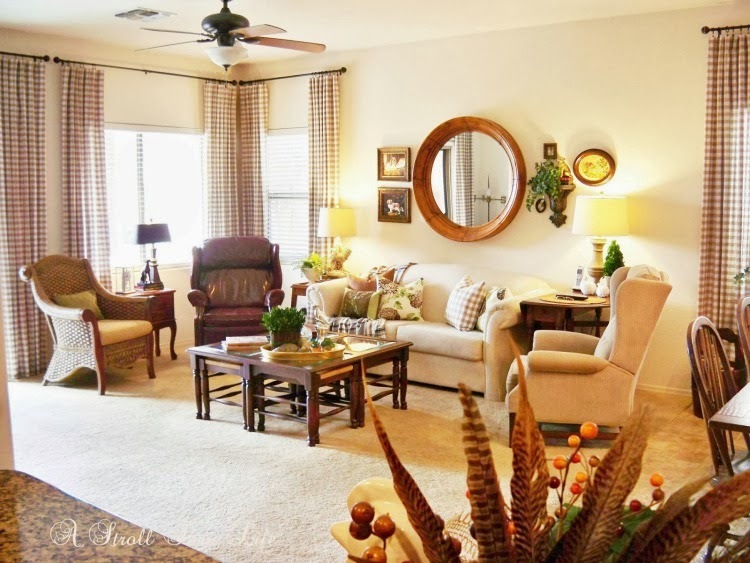 Love the mirrors! 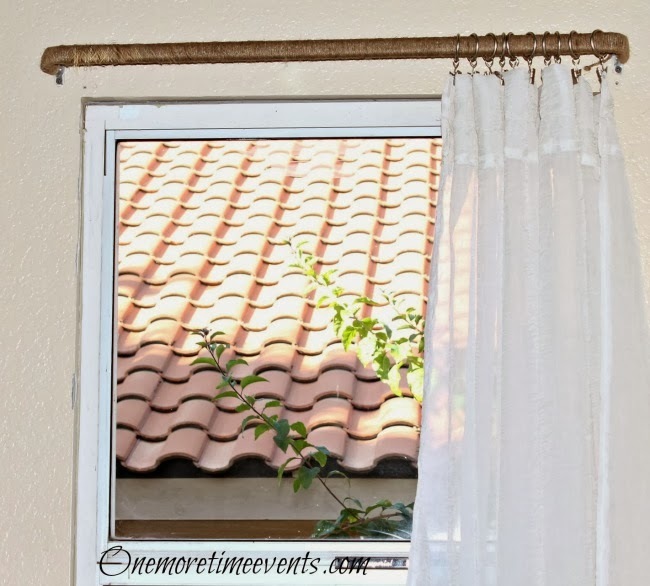 to change the look of some simple curtain rods. How pretty and creative is that? Gina from Random Thoughts never disappoints. 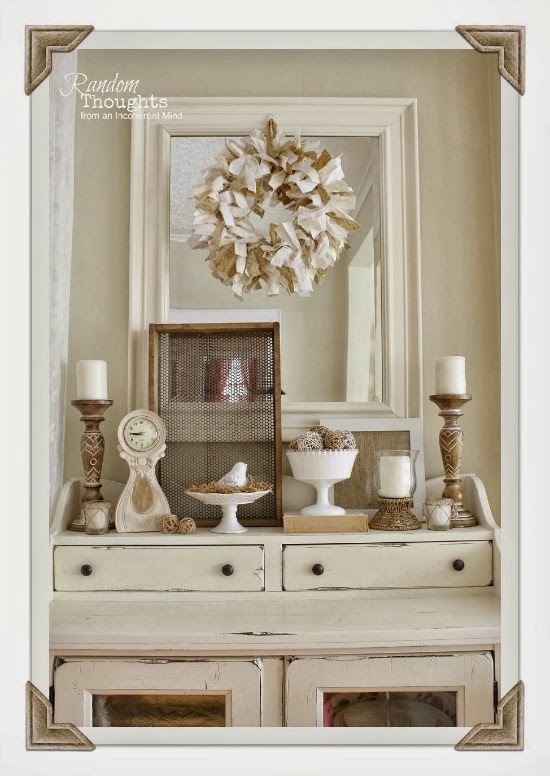 She put together a gorgeous Spring vignette on her hutch using natural colors. 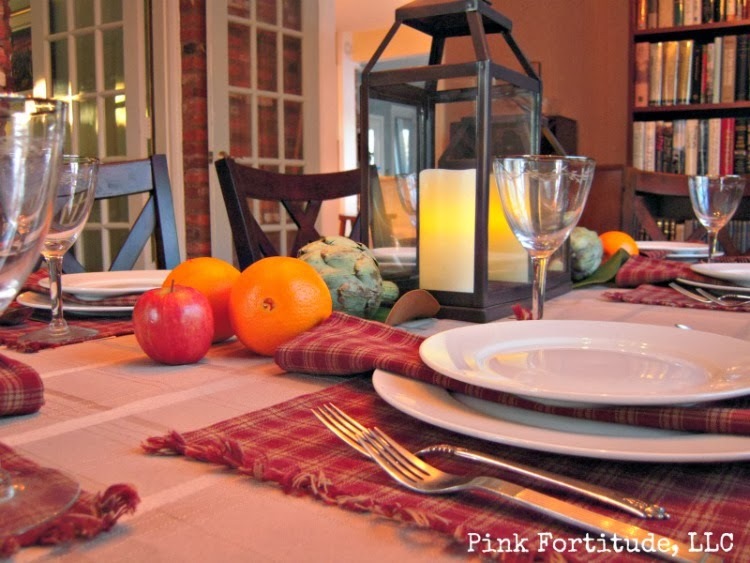 Holly from The Coconut's Head created a beautiful Colonial tablescape to celebrate President's Day. Angela from Hickory Trail made these super cute bunny napkins. I really don't have any special projects to share with you this week. There is several things going on at once, but nothing has been finished yet. we woke up today to 32 degrees and everything covered in ice. That is a little crazy, if you ask me. 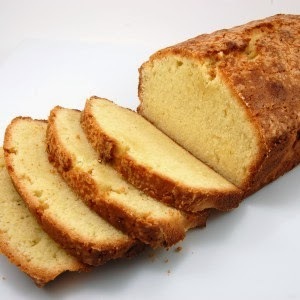 I have been spending quite time at home, doing a little baking and reading a fabulous book. And, here and there, I have worked on the Spring decor for my front porch. Very pretty colors and you know my mind was racing thinking of all the projects I could do. I chose this color. It is call "Mirage", Perfect for Spring. I will share with you soon how I used it. The porch is finally finished. I also have to share with you this new little find. While I was waiting at Lowe's to have some paint mixed, I saw these small Glade packages on the counter. 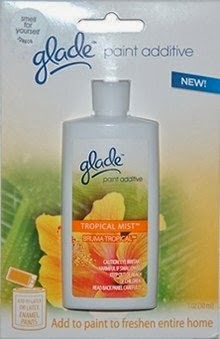 Well, you know I was curious about it, specially since I am hooked on Glade :). Could not believe what I was reading! Glade has a new additive in several different familiar scents that you pour inside your can of paint and I guess while you paint, your room will smell like "Tropical Mist" or "Clean Linen". There were several to choose from. Isn't that awesome? 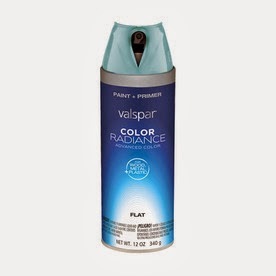 No more paint fumes. 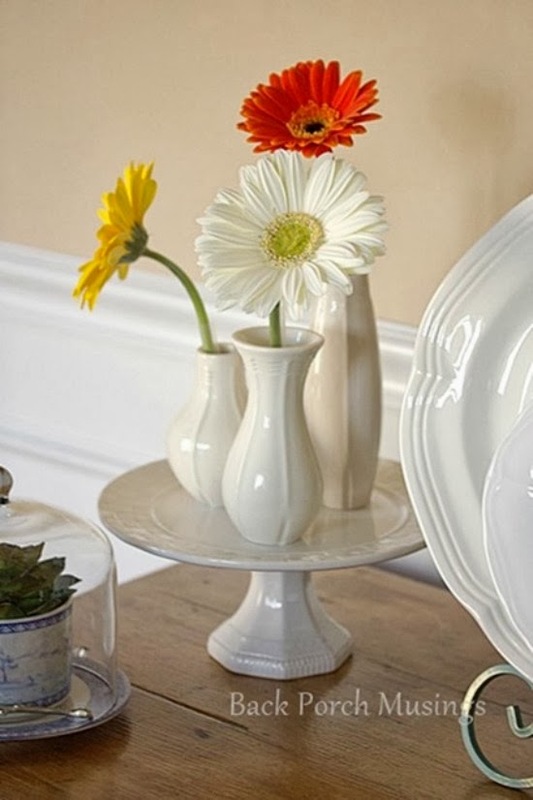 I am also working on Spring crafts for the kitchen. Remember I made the mason jar dioramas a couple of weeks ago. Now I am making a burlap and silk flower arrangement. I am helping my husband finish his workshop in the garage. Counters and sink have been ordered and due to arrive in a few days. We plan to paint everything during Spring break and we hope to have it finished this coming month. He just made me this small plaque and I will share with you soon how I will put it to good use. I have also been making new items for my Etsy shop. And I love crafting and making new things. This afternoon I have an appointment and after, I plan to take a trip to Hancock Fabrics. I have a huge project in mind that will involve making some changes in this room. Hope you are all having an enjoyable week. I will see you all tomorrow when I share the most viewed links of this week Tuesdays at Our Home. the most viewed entries from last week party. 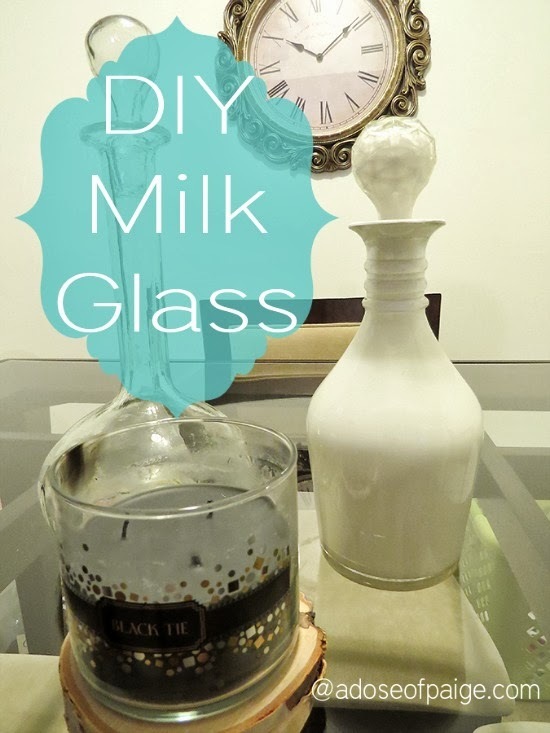 Paige from A Dose of Paige gave us a wonderful tutorial on how to create your own milk glass. Beautiful project and so simple! Who would of thought! 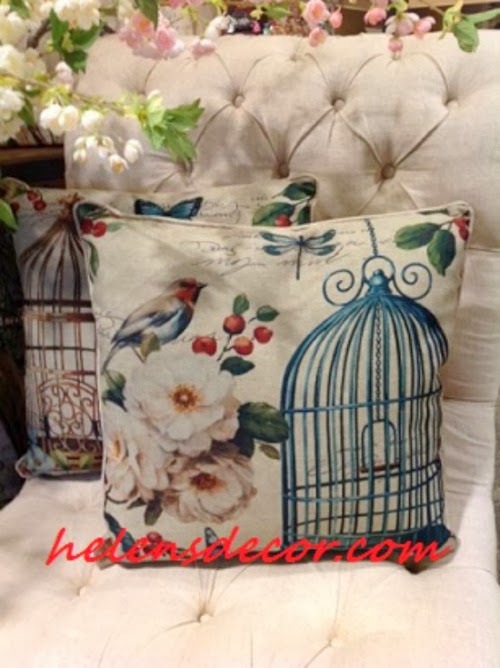 Helen from Helen's Decor shared with us the beautiful Spring collection Kirklands has in their stores now. 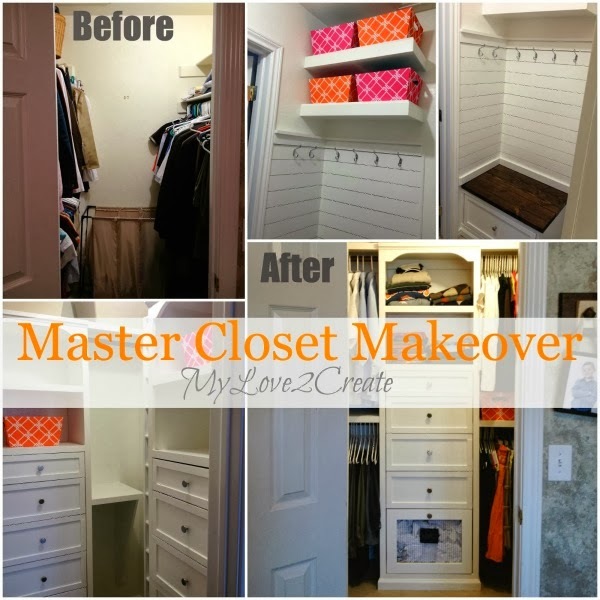 Mindi from My Love 2 Create shared her master closet reveal. All I can say is WOW! What an amazing DIY project. 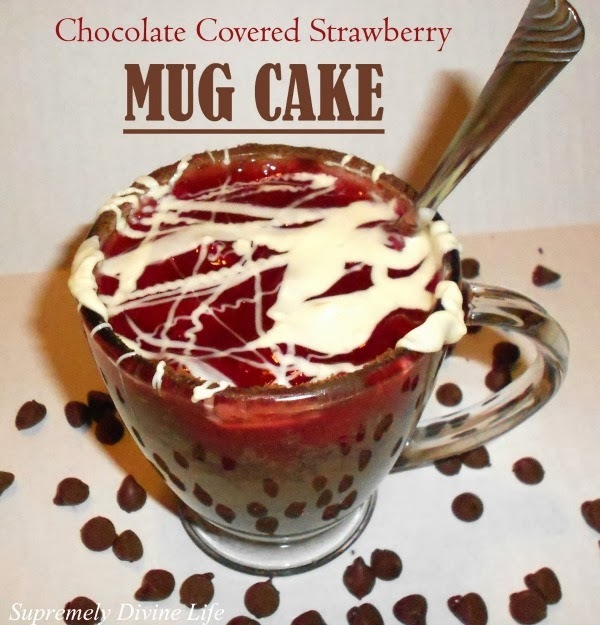 Ashley from All She Cooks gave us the recipe for chocolate covered strawberry mug cake. I will let the pictures speak for themselves! YUM! 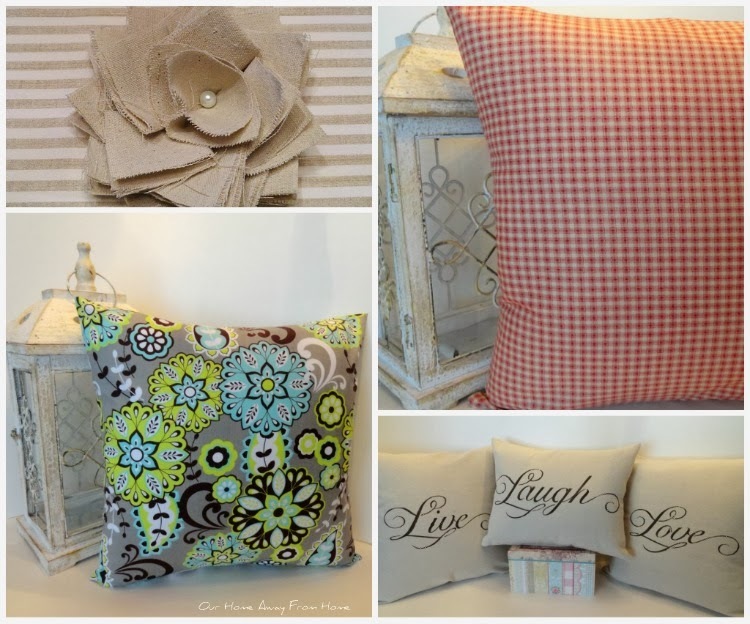 Marty from A Stroll through Life shared her new beautiful drapes that she made using tablecloths from Boscov's. What a gorgeous idea! 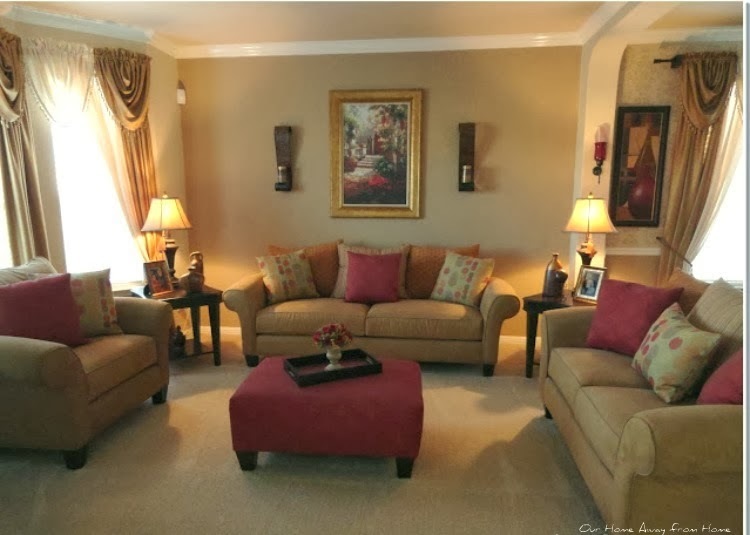 Her living room looks so beautiful! 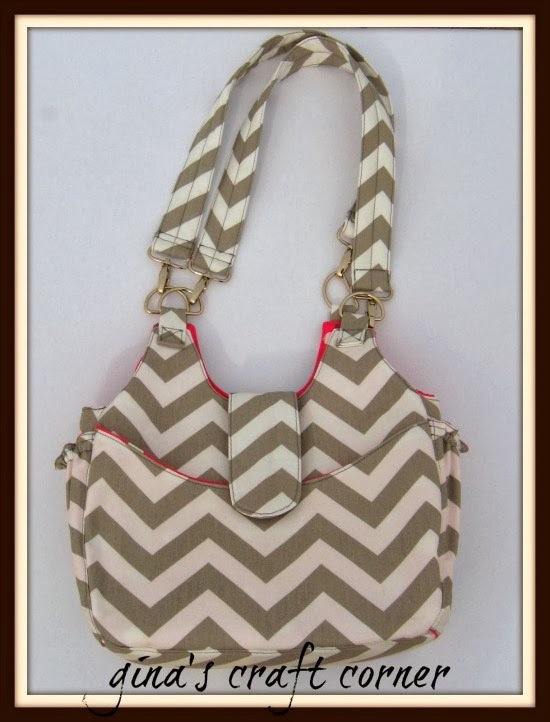 Gina from Gina's Craft Corner made a gorgeous chevron bag. I just love the fabric she used. So pretty! 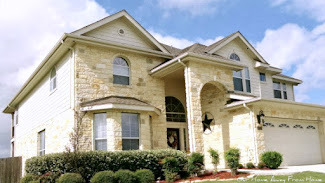 It seems everything wants to break in this house this week and to finish it off, the internet went out and it has taken our service provider two days to figure out the problem. And when it came back, for some unreal reason, my blog was gone!!! Was not able ot access it at all. Oh, boy! You want to talk about panicking. But, on the good side, not having Internet gave me a chance to get some things organized. 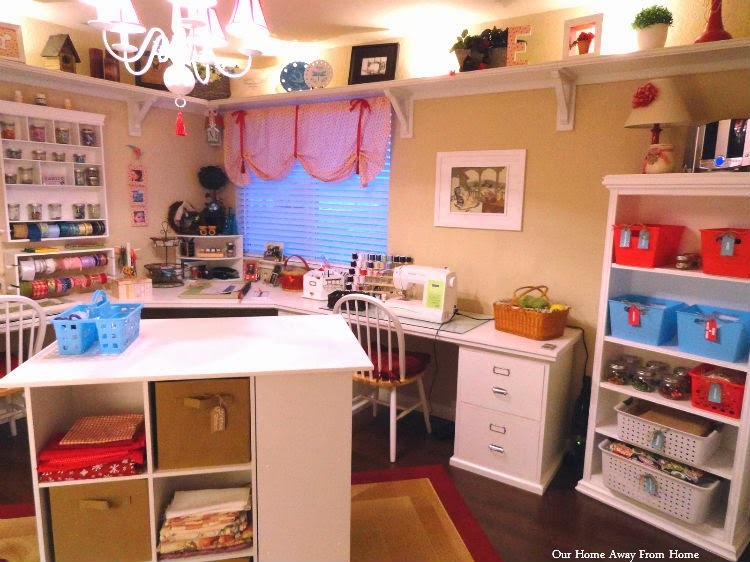 I have been cleaning closets and cabinets and finally, yesterday, I made it to my craft room. Every year I take advantage of the pretty storage bins that Dollar Tree brings to their stores. 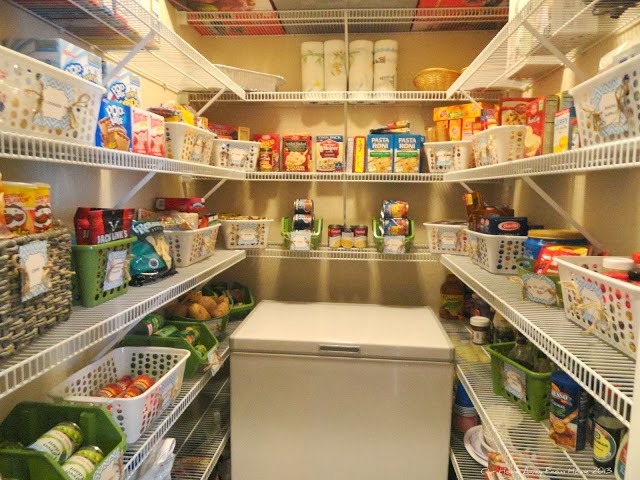 Last year I used them to organize my pantry. This year, just a few bins helped me organize some of my craft supplies. This cabinet used to hold my silk flowers. I was never too happy with that arrangement, but I had a very old and ugly metal storage shelf in the garage, which I brought back to life with a little spray paint and now sits inside the closet holding my silk flowers organized by colors. Using the new bins, some plastic containers I already had and mason jars, I was able to organize this area of the craft room a little better. I also found this small plastic caddy, which I am using on the craft room island to hold my glue gun and some glue. I hope you all have a very good weekend. I will be back with the features from Tuesdays at Our Home. Great party this week! Is it too early for Spring crafts? It probably is, but I like to take my time and not rush at the last minute. 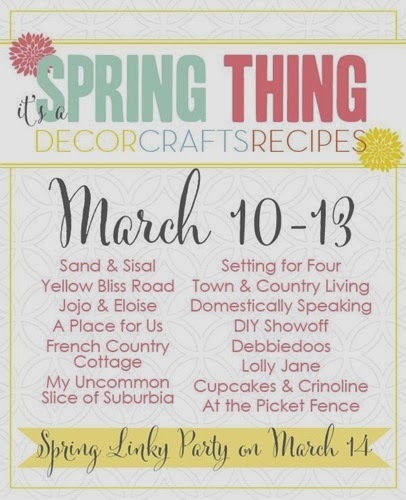 I already have finished the Spring decor for my front porch and now I am slowly working on a few things for inside the house. One of the projects I finished was three mason jars dioramas that I made with things I already had at home. I used three mason jars in different sizes and I glued them to some candlesticks from Dollar Tree I already had at home. I used E6000 to glue them together and let it dry overnight. 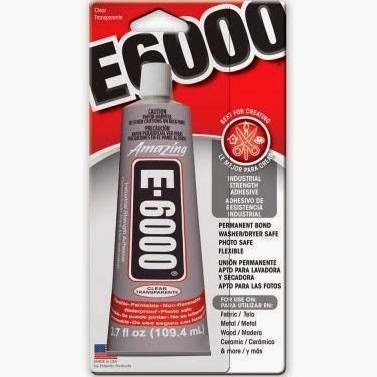 You can find this glue at Walmart, by the craft section. First thing I did was paint the lids in white and glued to them three old knobs which I painted in a green Spring color. And then came the fun part, decorating them. I can not say it was easy, although I used the wide mouth jars, it was kind of tricky getting everything to stay in place. Inside the bigger jar I added some moss on the bottom and place on it a small nest and baby bird. 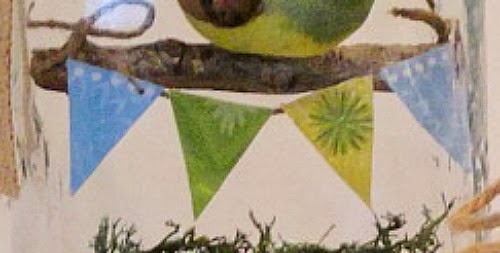 I made a tiny banner. And I finished it with one of the burlap labels that I bought at Hobby Lobby last week. 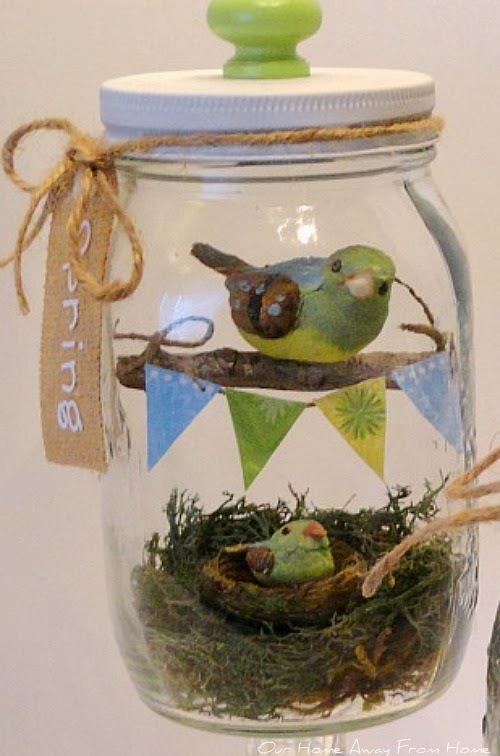 I did the same thing with the medium jar, only it just hold a small baby bird on the branch. And the smaller jar just holds a bird nest and egg in similar colors. The cost of this project for me was zero, since I used what I already had, but if you need to buy the materials, you can probably make them for under $15.00 for the set. 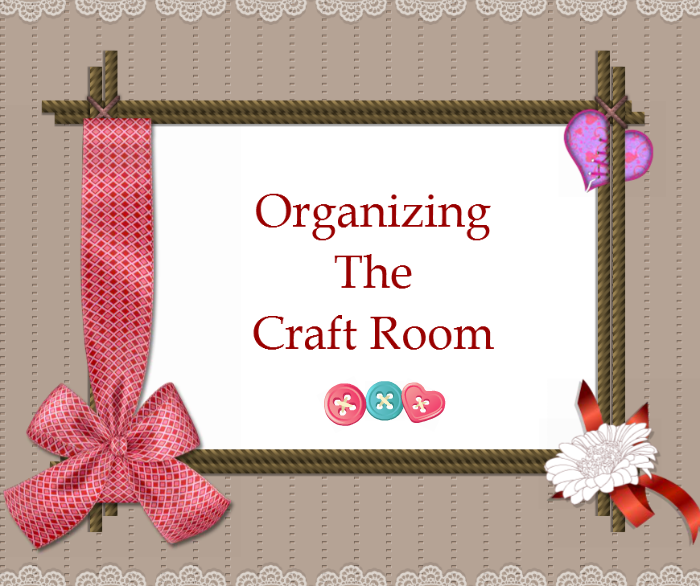 Today, I am organizing my craft room closet and shelf using some of the new plastic container that Dollar Tree has new for Spring. I will share that with you soon. SPOILING OUR " LITTLE GIRL"